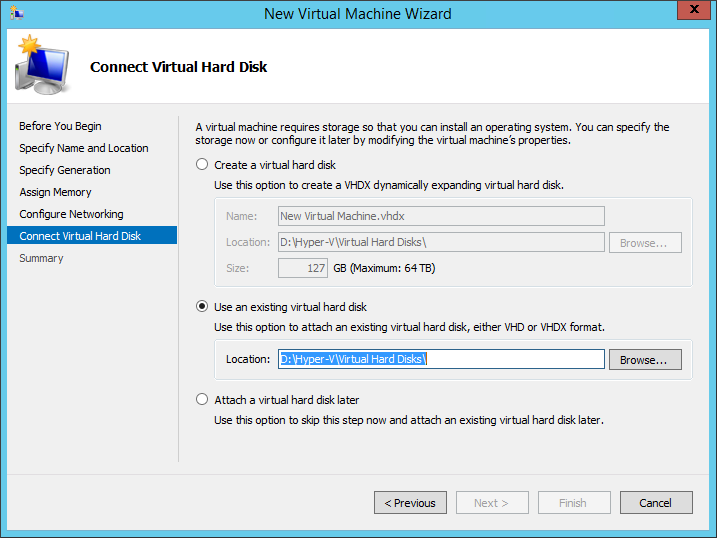 How to export Hyper-V from Windows 10 to Windows Server 2012 R2? 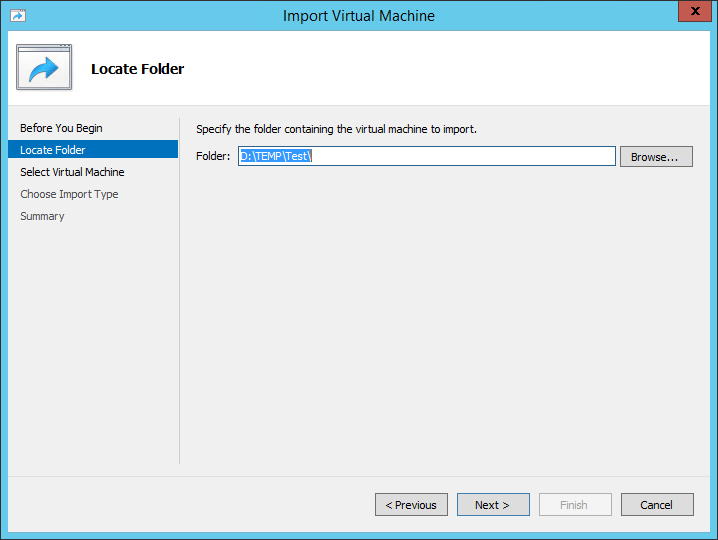 How to export a Hyper-V VM from Windows 10 to Windows Server 2012 R2? So why are those files not visible in the wizard? The problem is related to the new format of a virtual machine configuration file, namely .vmcx, which is supported only by Windows 10 and Windows Server 2016. 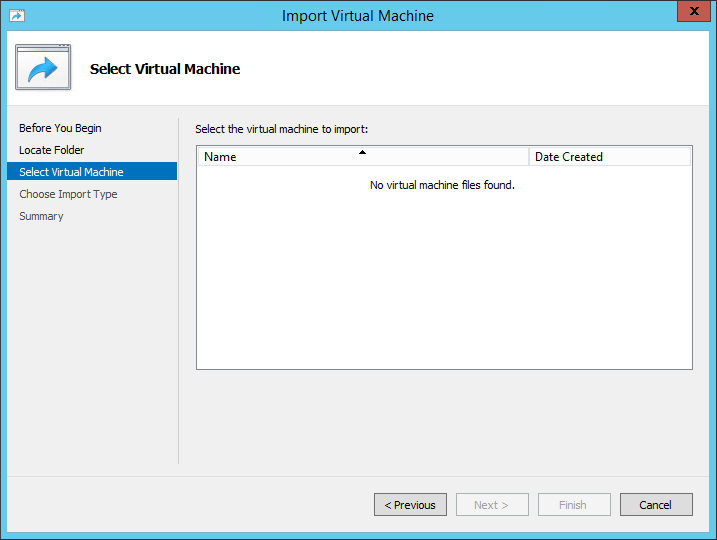 As you may suppose, there is no problem when you import the virtual machine the opposite way round – from Windows Server 2012 R2 to Windows 10 (or to Windows Server 2016). This move is possible because both Windows 10 and Windows Server 2016 are new systems, which can read the format of virtual machines exported from older configuration system versions (for Windows Server 2012 R2, the configuration system version is 5.0 while for Windows 10, it is 6.2). As you can see, the Hyper-V’s configuration version determines the format of the configuration file, which in the version 6.2, has been changed from .vmc to .vmcx (Windows 8.1/2012 R2 does not support the .vmcx format). The upgrade requires stopping the virtual machine. When the virtual machine is stopped, right click on it and select the Upgrade Configuration Version… option. Now you can see that the configuration version is upgraded from version 5.0 to 6.2. How to deal with the export of a virtual machine from Windows 10 to Windows 8.1/2012 R2 anyway? Once the new virtual machine has been created, you can run it to verify whether it works as expected. You can also go for GS RichCopy 360 to do the trick. It is best of its kind and provides many options to get the job done.The most appropriate option it provides is option to copy every file in VSS mode only. This can be useful when copying hyper-v files. The other additional features are really amazing.You must give it a try as well.